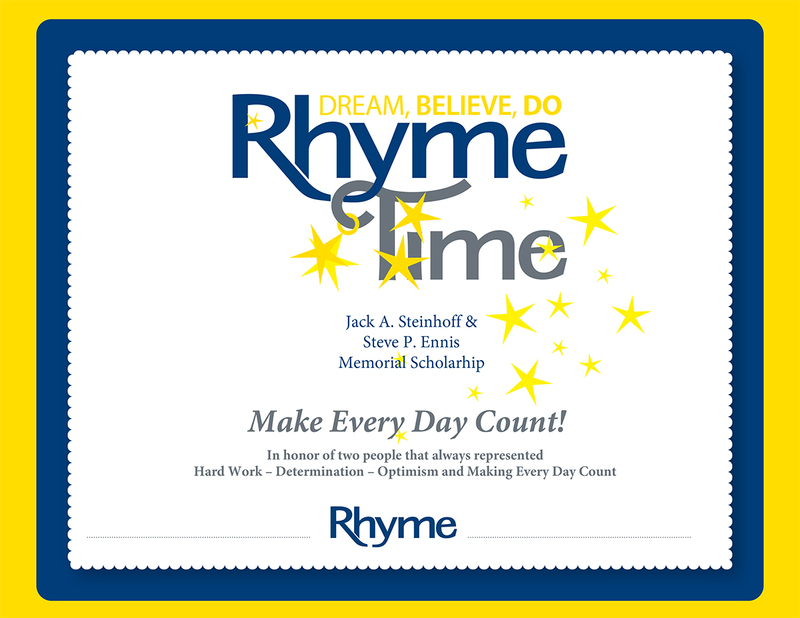 Rhyme created our charitable foundation called Rhyme Time in order to increase our ability to help others. The reason we chose Rhyme “Time” is because time is our most valued asset. We cherish our time and we cherish the opportunity we’ve been given to help others. Every year Rhyme gives out scholarships to students that have been touched by cancer. We do this in honor of Steve Ennis and Jack Steinhoff; two men that always represented Hard Work – Determination – Optimism and "Making Every Day Count”. To-date we have awarded 37 scholarships and this year was our largest yet with 9 recipients! These 9 students were hand selected based on their applications and letter of how cancer has affected their lives in some way. Each individual submitted inspiring, real stories and we appreciate their honesty in the application process. We want to congratulate the Rhyme Time Scholarship Class of 2018 and wish them the best of luck in their future endeavors! Without the tremendous support we receive at our annual fundraiser, the Steve Ennis Memorial Golf Classic, we wouldn’t be able to continue growing the Rhyme Time foundation, so thank you everyone for your support over the years! Please save the date for our 10th Annual Fundraising Event on Saturday September 8, 2018 at the Edgerton Towne Country Club!